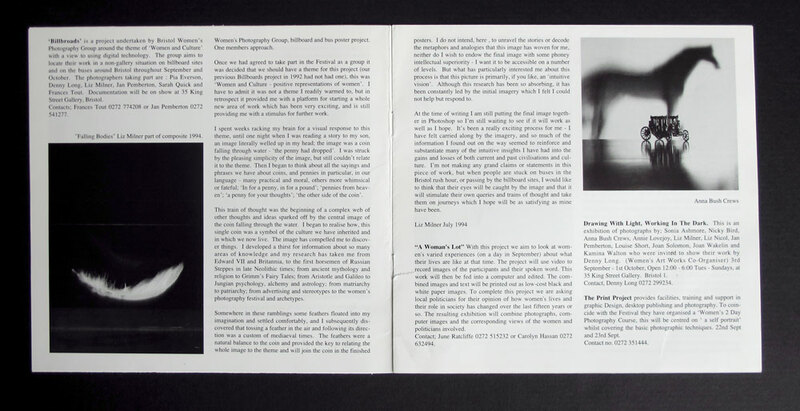 This course gave me the opportunity to explore a completely new direction in what I was doing with photography and resulted in a group exhibition with the other participants at Watershed called Intuitive Visions in 1988. For this show I produced a 3 panel photo-montage/mosaic, with text called ‘Limitations’ using physically cut and pasted photographic prints from the local supermarket photo-lab. This was a visual expression of how I’d come to reject the ‘Transcendental’ approach to photography (the philosophy of the college I had attended) and embrace and celebrate the everyday and the detail of parenthood instead of resenting it and hankering after creating moody landscapes. This piece of work stimulated much interest and resulted in a number professional commissions using the same technique to create posters which for some time became my signature style. I continued to create personal work in this way including another triptych called ‘Journey’ which reflected the experience of a regular walk with my children from home to the nearby City Farm. The three framed images were shown at Windmill Hill City Farm in Bristol’s first South of the River Show in an exhibition called Sense of Place I helped organise with other professional photographers who were based in South Bristol. The third volume in the Nexus series drawing on the work of contemporary women photographers collected in “Iris”, the Women’s Photography Project at Staffordshire University*. It looks at Walter Benjamin’s understanding of the relation of the past to the present. For Benjamin, memory is primarily a visual recollection. This book explores the use of Benjamin’s work on memory and argues that it is analogous to the approach of women photographers to history and memory. Focusing on images which link place to memory this volume reveals how they are used to reclaim elements of women’s experience that may otherwise be lost and are also a means of influencing the present. Photographers’ work discussed includes Ann Asikainen, Kim Green, Jane Smith, Magali Moreau, Liz Milner and Jane Clark. The Photography group provided a less threatening and more supportive space for us to discuss our work than some members had found in other mixed forums, at college or in the workplace, and led to greatly increased confidence. 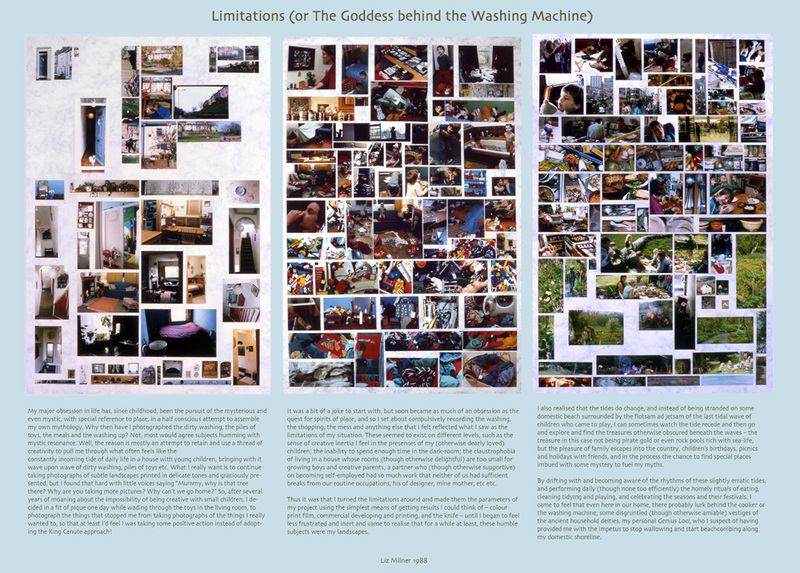 The exhibition we’d had at Watershed was included at the Signals Women’s Photography exhibition in London and subsequently we put together our own exhibitions – in a range of locations. 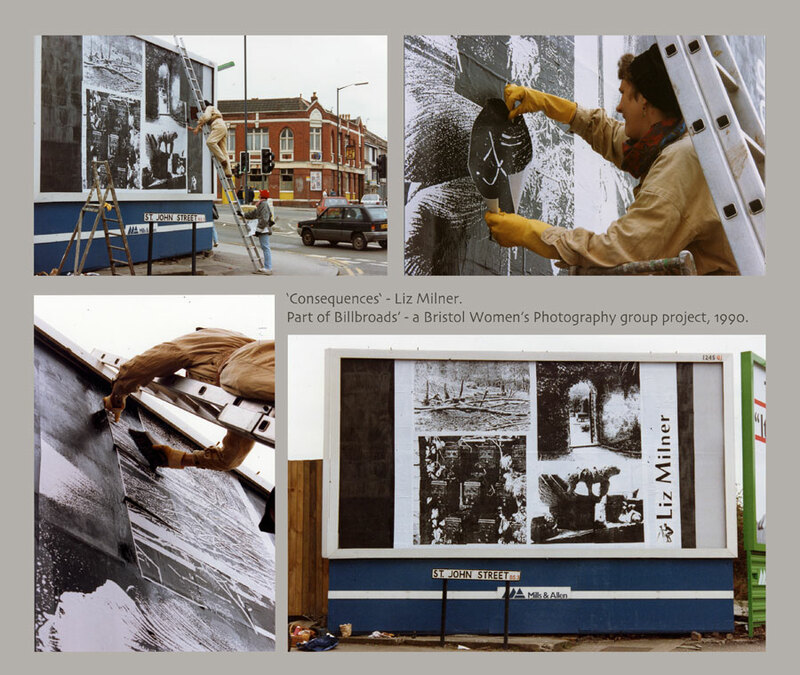 We were given the use of a number of billboards across Bristol (during another recession in the early 90s! 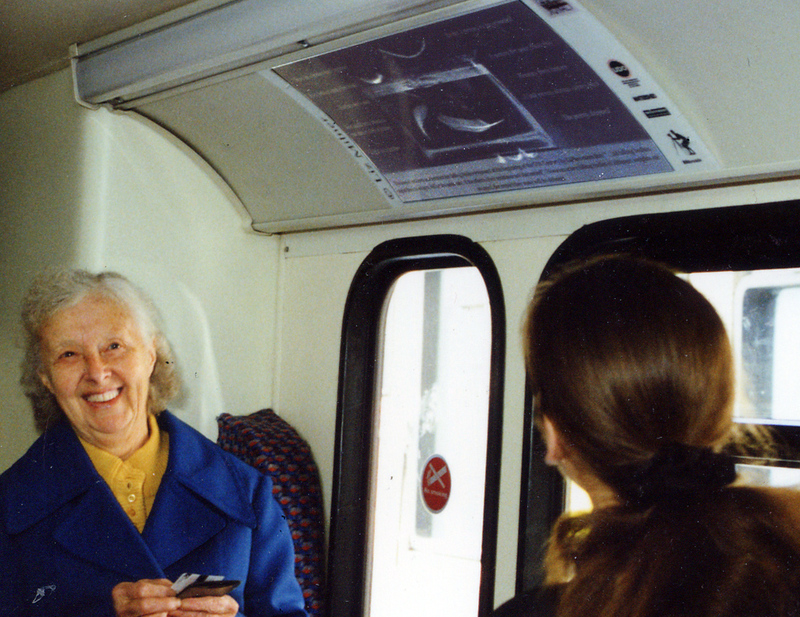 ), and created a series of posters for display on Bristol’s buses and at Temple Meads railway station, and more conventionally exhibited in a gallery in central Bristol – once again as part of the Signals Festival in 1994. 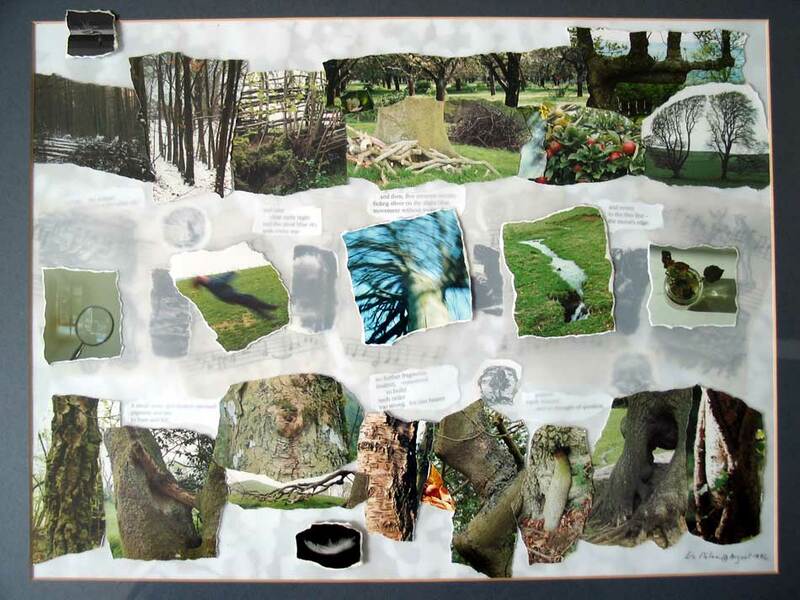 ‘Out of order’ – layered photo-montage with tracing paper, photocopies and glass. Part of Signals exhibition at King Street Gallery, Bristol. This entry was posted in Design, Exhibited work, Personal Arts Projects and tagged billboards, journeys, limitations, non-gallery exhibition, Watershed, women's photography. Bookmark the permalink.